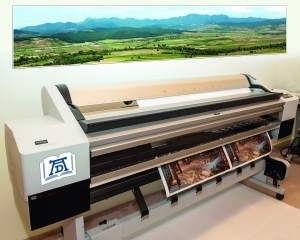 Our Epson Photo quality large format printer can print the folowing products: posters, large format photos, maps, billboards, roll-ups, city light posters, wallpapers. The matte, glossy or semi-gloss coated papers, self adhesive papers, canvases and plastic-based medias we can print up to 160 cm width. The surface treatment of media is matte or glossy foil protection. The printing house able to print with FSC certificated products, that justify the responsible forest management.